First Annual Conference: "The Euro - Which Way to Go?" EconPol Europe - the new European Network for Economic and Fiscal Policy Research - has succesfully concluded its official Founding Conference and first Annual Meeting. The 2-day conference focused on the governance of fiscal and monetary policy in Europe. 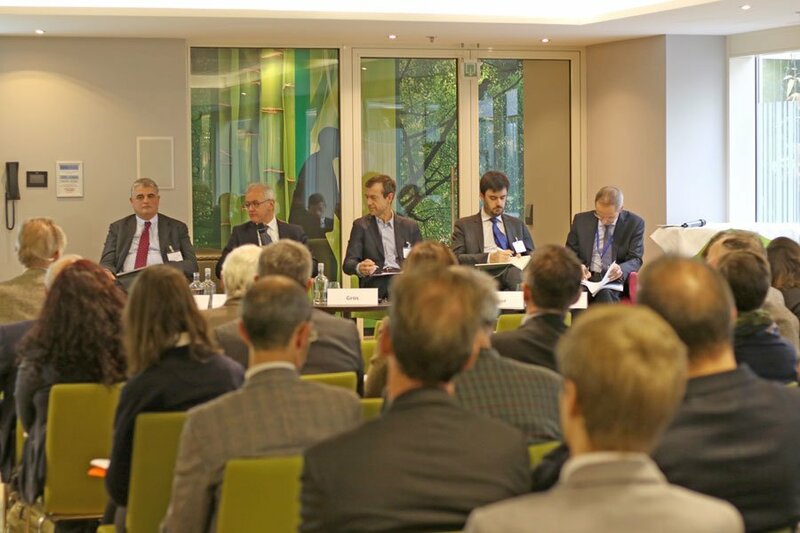 It brought together 200 top researchers, politicians, experts and journalists to exchange ideas on the economic and institutional development of the EU and the Eurozone. The event offered a unique opportunity to exchange ideas and discuss the network’s latest research. 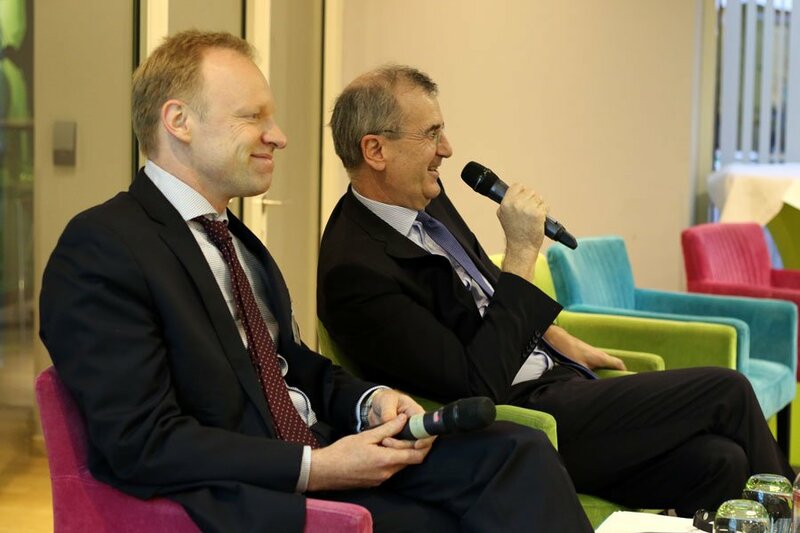 The conference’s schedule was as follows: the afternoon of Thursday, 9 November 2017 was devoted to a panel discussion on the future of the European Monetary Union followed by a keynote address by François VILLEROY DE GALHAU, Governor of the Bank of France. The panel members included: Massimo BORDIGNON, Professor for Economics, Catholic University of Milan, Marco BUTI, Director-General for Economic and Financial Affairs, European Commission, Emmanuel MASSÉ, Secretary, European Affairs Department, French Treasury and Thomas WESTPHAL, European Policy Director-General, German Federal Ministry of Finance (moderator: Daniel GROS, Director of CEPS). On Friday, 10 November, there were plenary sessions discussing migration (I) and macroeconomic imbalances (II), as well as parallel sessions on the EU budget without the UK contribution, latest Euro expansion plans and many more topical issues. The sessions offered researchers the opportunity to present their latest results and discuss them with roughly 200 experts from national and European institutions, the banking and the private sector. EconPol Europe – The European Network for Economic and Fiscal Policy Research is a unique collaboration between policy-oriented universities and non-university research institutes that will pool their scientific expertise to shape the future design of the European Union. 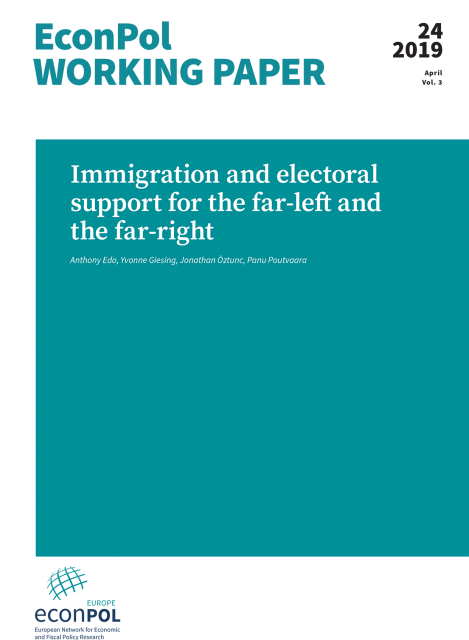 The network was launched in spring 2017 by the ifo Institute together with eight other renowned European research institutes as a new voice for research in Europe. The founding members are: ifo Institute – Leibniz Institute for Economic Research at the University of Munich, e.V. (Munich, Germany), Centre for European Policy Studies (CEPS, Brussels, Belgium), Centre d’Etudes Prospectives et d’Informations Internationales (Paris, France), Institute for Advances Studies (IHS, Vienna, Austria), Toulouse School of Economics (TSE, Toulouse, France), University of Oxford (Centre for Business Taxation, Oxford, Great Britain), Università di Trento (Department of Economics and Management, Trento, Italy), VATT Institute for Economic Research (Helsinki, Finland) and the Centre for European Economic Research (ZEW, Mannheim, Germany). Keynote speech "The Euro - Which Way to Go?" Plenary Session I on Immigration Policy: Discussion of the report "Immigration policy - Insights from recent economic research"
Plenary session II on Macroeconomic Imbalances in the Eurozone: What determinants and policy implications I? Plenary session II on Macroeconomic Imbalances in the Eurozone: What determinants and policy implications II?